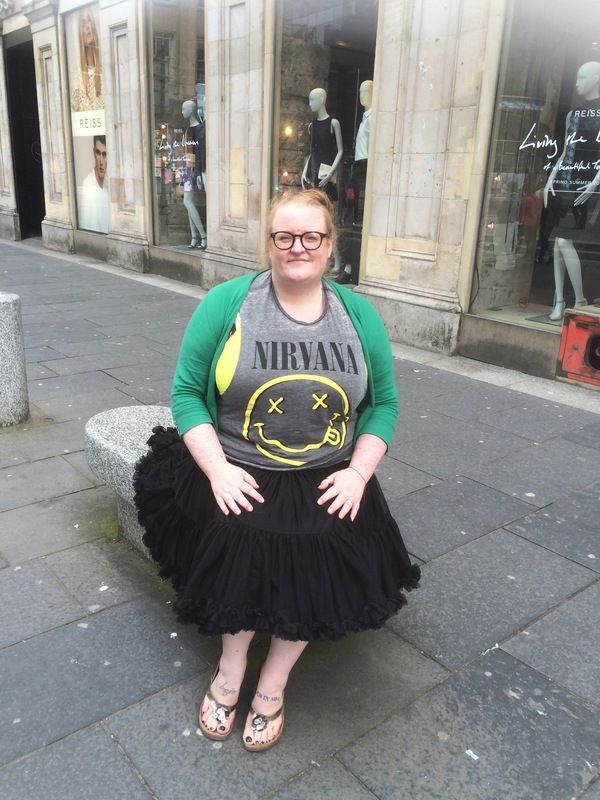 Earlier this year I invested in 50’s style underskirt to go with a swing dress. Little did I know how enamoured I would ge one with it’s flouncy loveliness. It feels amazing. With every movement I swing & sway. Me being me I am tickled by notion of mixing things that really shouldn’t go together. 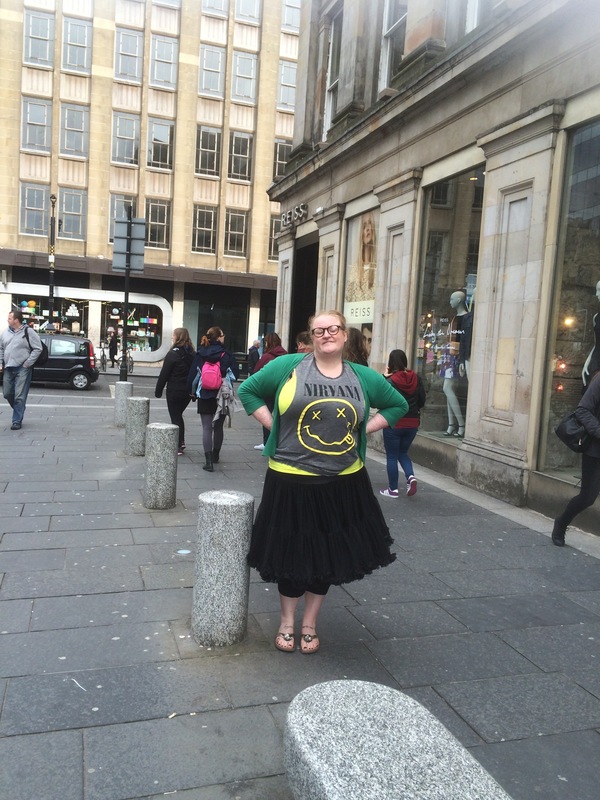 Thus the ultimate floaty skirt found itself teamed with an avid yellow vest & customised nirvana tee. One look that picture tells you all you need to know about how much one enjoyed this outfit. I wish I could feel like that everyday. Next > Dance ballerina Dance….